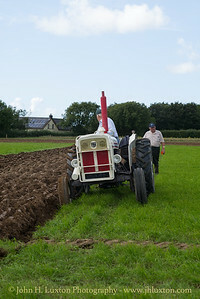 Camrose Vintage Working Day was first established in 1984. 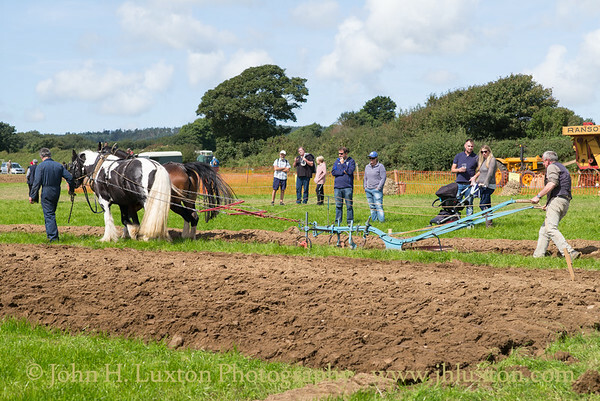 Your web master has been visiting Pembrokeshire since 2013 during the summer months and had seen signs advertising the event which is usually held the Saturday of the August Bank Holiday weekend. I decided that in 2018 I would make a visit to the area to coincide with the show. 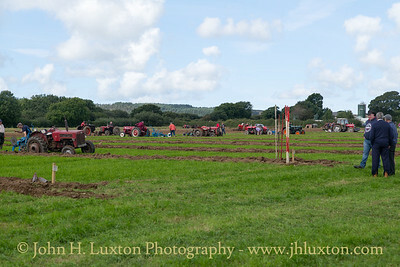 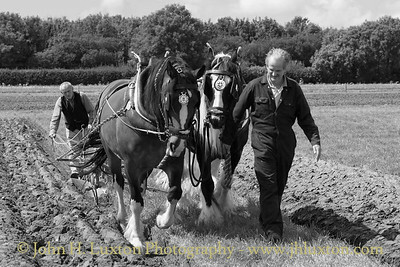 It is not a traction / steam engine rally as such – though a general celebration of rural life. 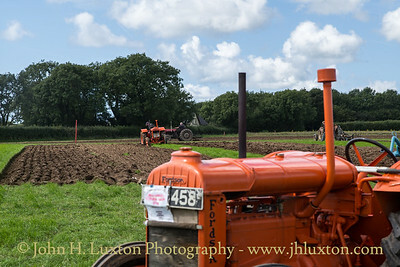 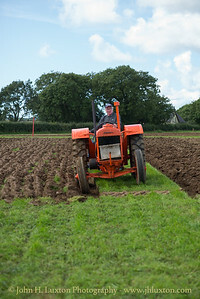 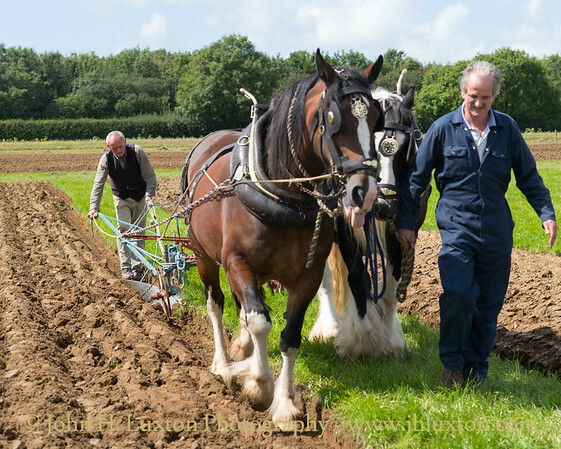 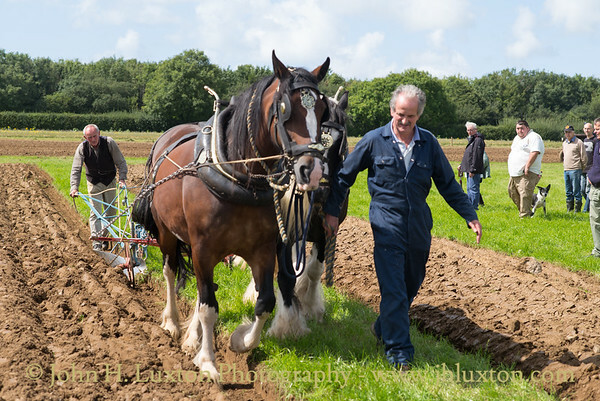 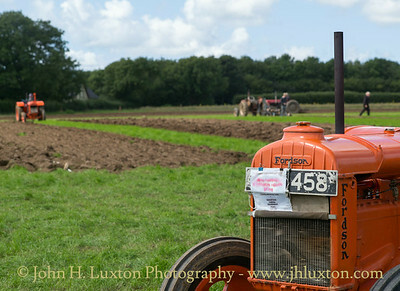 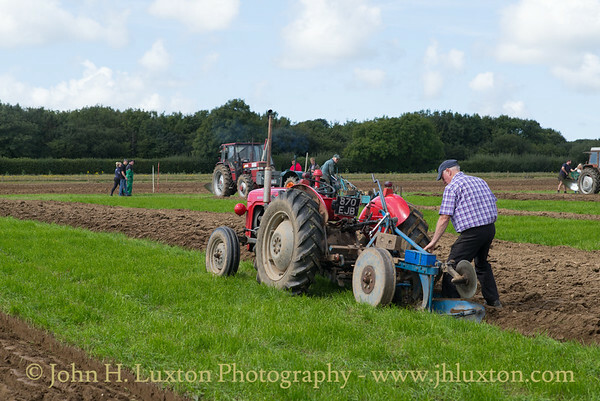 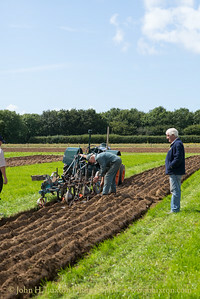 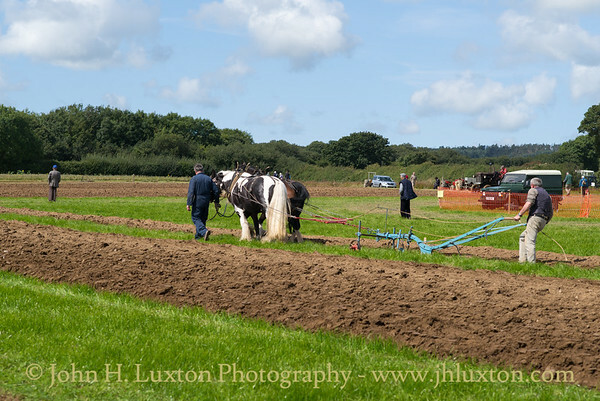 There are displays of vintage tractors, stationary engines, vintage and classic cars and motorcycles, along with demonstrations of corn cutting, threshing, hay baling and ploughing, both with horses and tractors, taking place throughout the day. 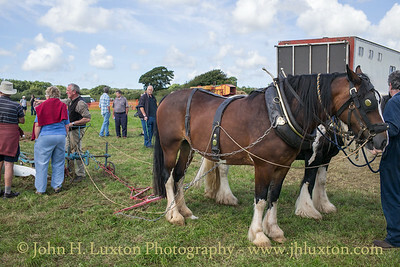 There are also sheep shearing, farrier and working dog demonstrations. 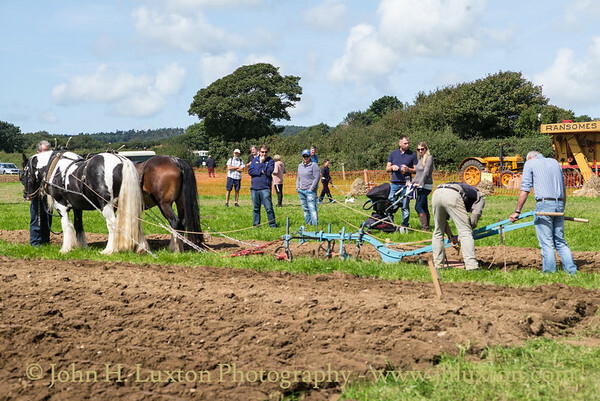 This selection of photographs depict some of the features of the 2018 Camrose Vintage Working Day. 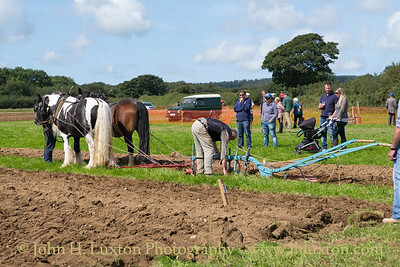 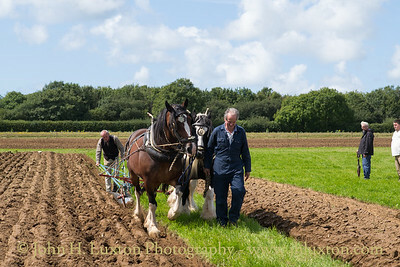 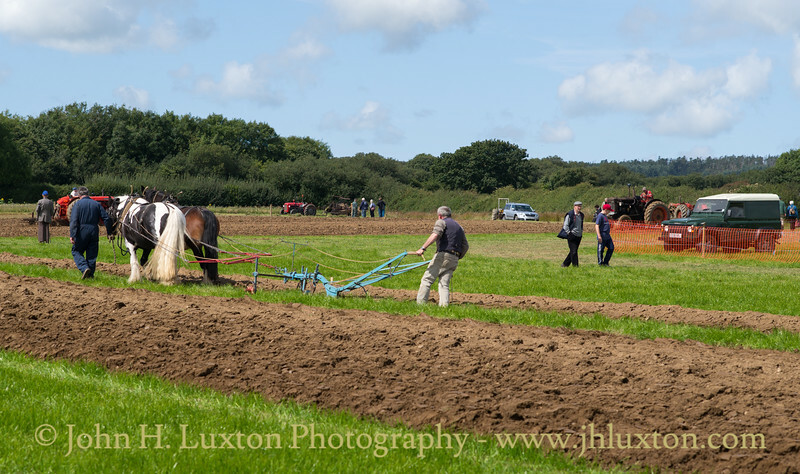 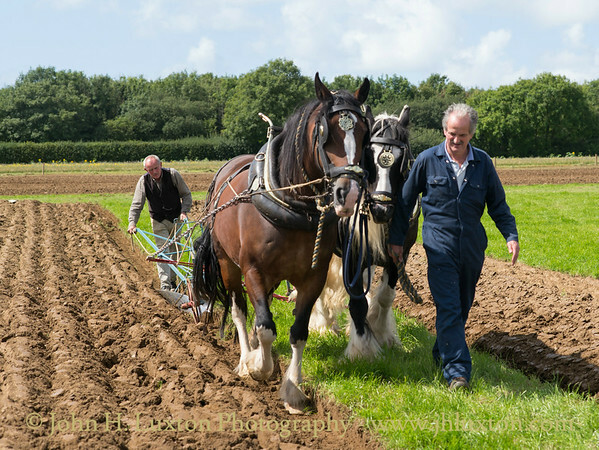 Horse Ploughing at the Camrose Vintage Working Day.